I think the best word I could ever use to describe this novel is haunting. This book was captivating from the very first page and held me down to the last paragraph. It left me speechless and clamoring for more. 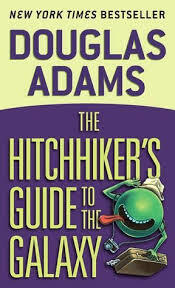 Unfortunately, the whole novel is built around an enigma and if you want more…well, you’re not going to get it. Cecilia eventually manages to take her life and this opens the Libson family to an extreme form of grieving that ultimately tears everything apart. 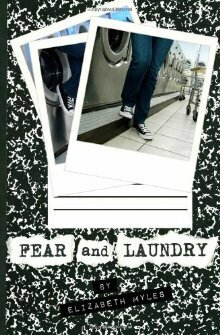 Apart from the mystery of the sisters, I think this novel really focuses on the neighborhood boys and the sordid way in which they grow up through their obsession and the sisters’ actions. 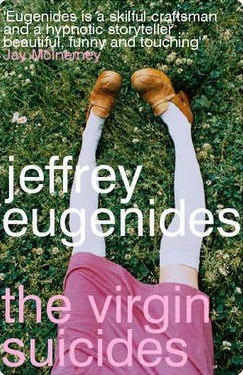 Beautifully written by Jeffery Eugenides, the passages cut me so deep at times that I honestly cried. Part of me things that these girls never had a chance but at times their salvation seemed so eminent that I was extremely frustrated. Those poor boys will forever be haunted by the Libson girls. Forever stuck in adolescence, yet desiring what they ultimately never had and never knew. But the most heartbreaking thing may be just how close they really got by playing records through a phone. To add to my experience I will be viewing the 1999 film soon.